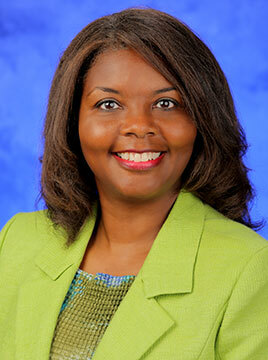 Leslie Walker-Harding, MD, has joined Penn State Health as medical director, Penn State Children’s Hospital and pediatrics department chairperson, Penn State Health Milton S. Hershey Medical Center. Prior to her arrival on the East Coast, Dr. Walker-Harding served as division chief of adolescent medicine at the University of Washington and Seattle Children’s Hospital, and co-director of the Seattle Children’s Adolescent Substance Abuse Program (ASAP). Dr. Walker-Harding brings with her a philosophy of providing an integrated approach to health care, including the medical, mental health and social needs of rural communities. Dr. Walker-Harding plans to engage in a dialog with the regional community, especially health care providers for youth, to learn about their findings and pressure points, so that Children’s Hospital can be of greater support to them. Additionally, she plans to further the Penn State Health institutional missions in clinical care, research, academic excellence and community outreach, the combination of which being the essential foundation for progress. Dr. Walker-Harding views pediatric medicine as key to preventing future adolescent risk behaviors and substance abuse. With her passion and clinical expertise in this topic, Dr. Walker-Harding comes to central Pennsylvania to continue her involvement in research and treatment programs for adolescent medicine at Children’s Hospital. “The medical establishment,” says Dr. Walker-Harding, “must become more engaged in the health of those later in childhood and young adults.” Evidence-based health interventions and funded research tend to decline as children approach adolescence, despite the importance of adolescence on the developmental continuum. This is also a period of time when prior health trajectories can change dramatically. “Substance abuse prevention leads to healthier habits overall and improvements in the health and wellbeing of children. It is often part of a much broader spectrum of mental health, behavioral symptoms and even medical issues that require an integrative approach,” says Dr. Walker-Harding. She points out that each patient is more than just an injury, a disease or a tumor. That young person, given the right nurturing and supportive health environment, could grow up to be a transformational community leader, or even the one who discovers the cure for the same medical condition he or she had as a child. CARE PHILOSOPHY: Each and every patient has a story, it is important to know a child or adolescent and their family’s story to partner with them for optimal health.